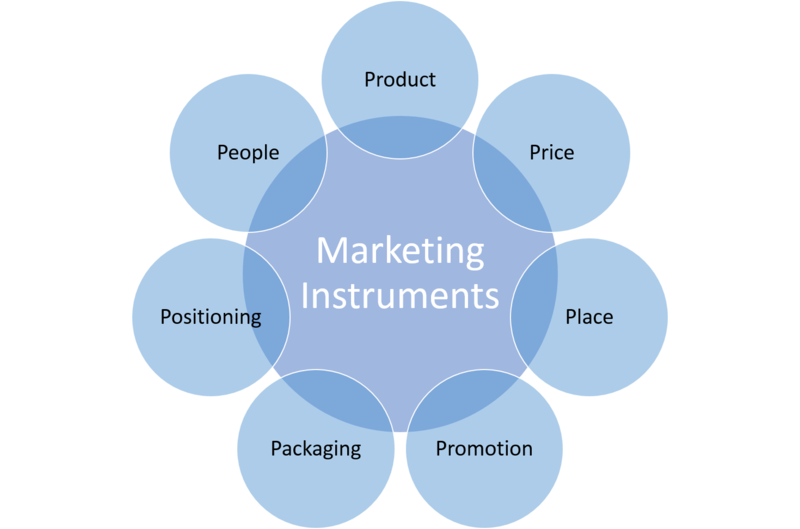 The marketing instruments, consisting of the 4 or 7 Ps of marketing or the marketing mix, are a basic of marketing. What are the marketing instruments and how do they work? The marketing instruments are the set of tactical marketing tools that the firm uses to actually implement its marketing strategy. The strategy tells us how the firm want to create customer value, build profitable customer relations, and capture value back in return. The marketing instruments consist of the tactical marketing tools used to actually produce the response the company wants in the target market. We refer to the marketing instruments as the 4 Ps of marketing, or the 7 Ps of marketing.